The acquired activities and know-how include cold rolling mills and strip processing lines for the steel and aluminum industries. They will complement Fives’ activities in the mechanical engineering and supply of processing lines with certain specific terminal equipment for strip processing lines, color coating lines, and degreasing and pickling equipment. 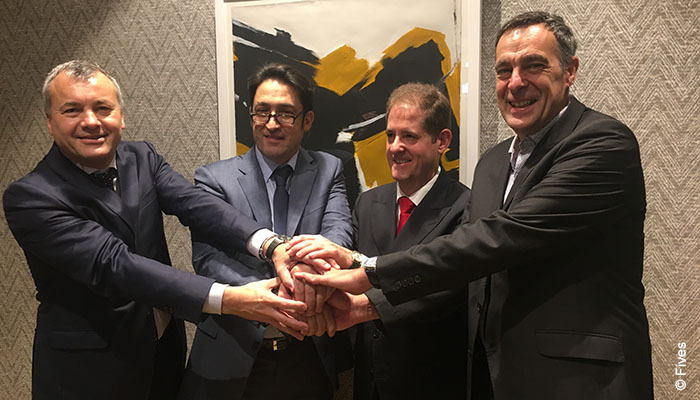 The core of RDI-Met team will be integrated into Fives’ Steel subsidiary in Spain which specializes in a wide range of heat treatment technologies for steel products, including the final treatment of coated coils. Guillaume Mehlman, President of the Fives' Steel & Glass Division commented: “The new acquisition will strengthen our engineering capabilities and expertise, broaden a range of solutions for steelmakers and increase our commercial presence in Europe and South America”.